Grand parades, demonstrations and simulated maritime operations have taken place at Russia’s major naval bases to mark the Navy Day, marking more than 300 years of defending the country’s interests at home and overseas. Major events took place in the cities of Saint Petersburg, Sevastopol and Vladivostok, home bases of the Navy’s Baltic, Black Sea and Pacific Fleets. In Saint Petersburg, the Baltic Fleet’s newest ships were seen in a parade formation right in the middle of Neva river, with Navy officers and sailors , dressed in mess uniforms, ready to salute President Vladimir Putin and Defense Minister Sergey Shoigu who arrived in the city for Navy Day celebrations. The President and the Defense Minister have inspected the sailors, passing by the ships on board a ceremonial vessel. “The Navy Day is not only a national holiday, but also an old and glorious tradition,” the President said addressing the sailors and their families. He added the government is determined to continue a massive re-armament program that includes delivery of cutting-edge surface ships and submarines in the years to come. Putin also visited Aurora, a protected cruiser currently preserved as a museum ship. The ship has seen two World Wars, and is the oldest commissioned ship of the Russian Navy still flying the naval ensign under which it was commissioned in 1903. In Baltiysk, another Baltic Fleet base in Kaliningrad region, Russia’s westernmost enclave, the sailors staged a mock anti-piracy operation to rescue a hijacked vessel, while the marines simulated amphibious action featuring infantry fighting vehicles, helicopters and landing craft. 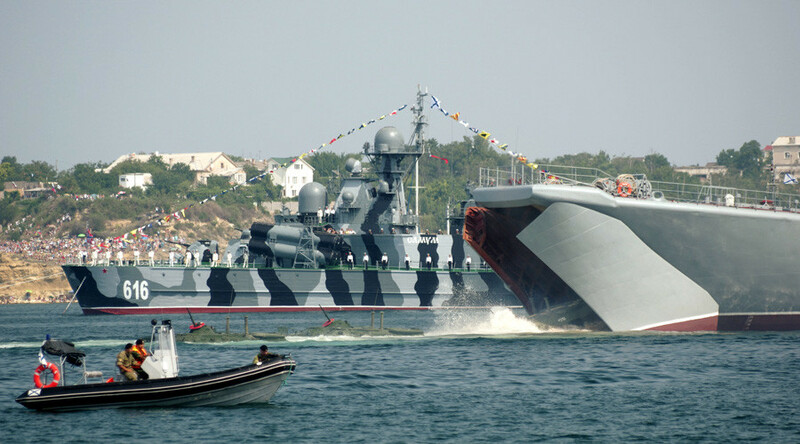 In Sevastopol, a seaside city with proud naval history, over 100,000 residents came to watch a grand military show organized by the Black Sea Fleet. The sailors demonstrated artillery duels, mine-sweeping actions and anti-submarine warfare as well as rescuing vessels in distress. The Pacific Fleet has staged an impressive show-of-force in Vladivostok, its home base, involving live fire, mock amphibious, anti-terrorism and anti-submarine operations. 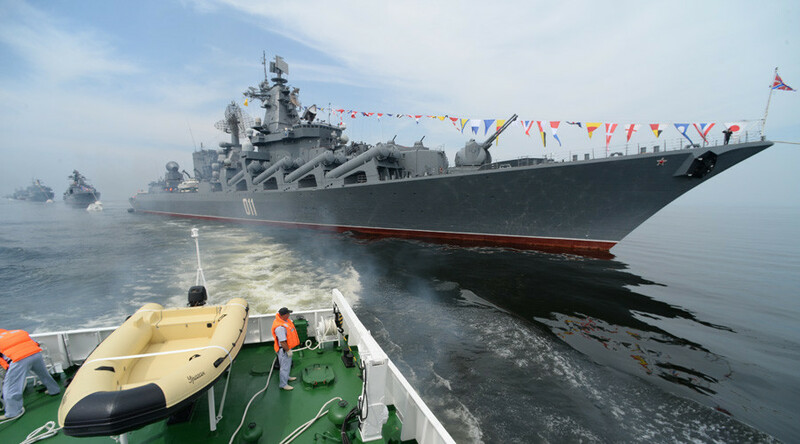 Russia celebrates 320th Navy Day in style. Tag anyone who would liked to have been there! 12,000 spectators gathered to mark the Navy Day in Petropavlovsk-Kamchatsky on the Kamchatka Peninsula in Russia’s Far East, the local media reported. 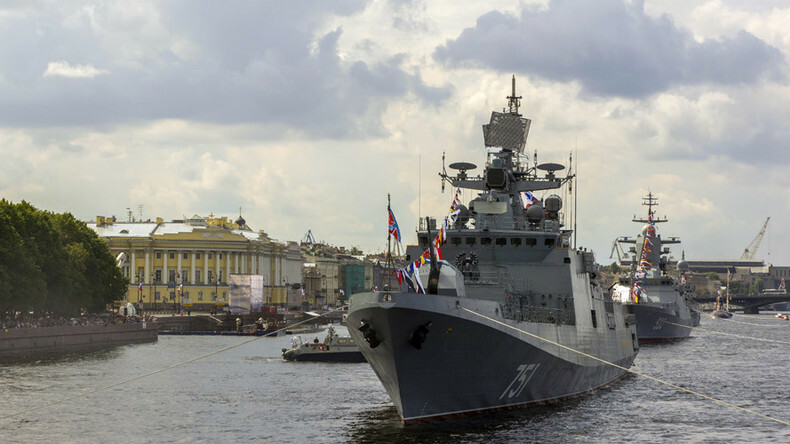 The celebrations started with a parade of ships in Avachinskaya Bay and continued with a parade of ground troops and a concert in the city’s center. The guests were also offered a chance to get aboard the navy vessels and taste the food served to the military sailors while on duty. Regular Russian Navy has been established by Peter the Great (Peter I) in 1696, being one the oldest in Europe. Over the past few years, the Navy has seen massive modernization and re-armament efforts, with dozens of ships being commissioned for all four fleets. Recently, several maritime task forces have been deployed to the Mediterranean in order to support Russia’s air operations against Islamic State (IS, formerly ISIS/ISIL) in Syria.